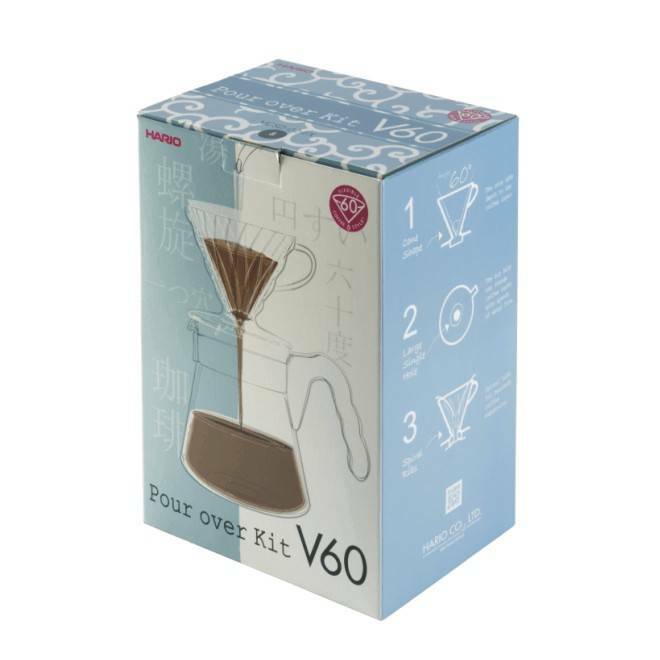 Hario V60 pour over set for the easy preparation of freshly brewed filter coffee. incl. 100 sheets of filter paper. You need 13g fresh coffee for 200 ml of water, in our shop is the freeness of hand filter coffee. Heat the water to 94 °, it may not cook because you destroy otherwise infuse the flavors leg. Place the filter paper in the carrier and rinse it out briefly with hot water. Thus, it is better to support and eventuller paper dust is rinsed. Subsequently, 13g freshly ground coffee in the filter and the first sip pour hot water. infuse 3min. Then you forgets the water in a circular motion to continue until the filtered coffee has reached the 200ml mark. Visit us. In our shop in Bad Lauterberg and convince you on site by the quality of our coffee Here you can find out of coffee beans and other products, such as muscovado, a cane specifically for espresso or roasted cocoa beans. Hario V60 pour over set and other premium coffees, you can also get at Confiserie Weibler in Cremlingen / Braunschweig. D. GudrunPosted on 9 August 2017 at 08:22 Der Kaffeeschmeckt ganz hervorragend - etwas für Kenner!\nService und Lieferung sind nicht zu beanstanden.